Have we become unable to understand analogies? Or am I getting trolled? Natalie not knowing that the internet was made out a series of tubes killed me. Great to hear Austin speak gushingly about sekiro. Seems to really understand the combat flow of the game. I wish waypoint had like a weekly schedule overview for their podcast similar to https://easyallies.com/ would make it easier to follow stuff. They're totally going to run out of time if they don't hurry up. That panel was really fun, good show! Easy mode in Sekiro is as easy as Sekiro + Cheat Engine, unless you are a grandma who still uses AOL one can figure that out using the magic of the internet. A mod might require even less effort.The only barrier i can imagine is middle aged people being really afraid of download sites. Is their panel going to be posted on youtube or something? Not seeing anything on the twitch page. Does anyone have a link to that T Rex noise video they were talking about on Friday's show? You know the story of how Patrick's wife refuses the existence of all anime was funny for a time, but the joke doesn't last when all zelda is is a Ghibli film made into a game series. Patrick may have excuses,doesn't need to force his wife to do anything, but a caucasion man being deliberately ignorant so they can get those anime and evangelion jokes in there just aren't that funny to me. It just sound like your first anime club in college and that's just cringe worthy if it weren't for more insightful people being there like austin. I was not ready for that mark of mastery of mastery exam. It was too good. I will admit I would have flunked out on all questions but the org 13 name question which I think I could have aced after dying to them so often in KH2. Wonder what that says about lore reasons that after listening to 10+ hours of that I'm as unprepared as them x). Lore reason still only condenses moments from several hundreads hours of games, you can not discuss all that nonsense on such a limited amount of time. If anybody’s curious about the Weezerverse, I saw them tonight. They covered Africa, it was awful. Crowd was completely dead, and Weezer couldn’t muster any enthusiasm either. It was just a flat delivery of an internet joke IRL. Is there an archive of this? It'll also be going up on their podcast feed at some point, per Austin. It showed up on my podcast feed this morning. I strongly recommend watching it with video though. Audio alone doesn't do it justice. This is the EXACT face I imagine every time Austin says "Mmm, well..."
There's extra audio at the end of the podcast that wasn't in the stream btw. Yeah, I can't download the PAX episode too. I am so proud of Natalie. She truly is the Kingdom Hearts. Watching the Giant Bomb PAX Panel and goddamnit its so frustrating that Austin never recommends the 0079 Movie Trilogy its the best *and* most accessible way to watch 0079. There's a Blu-Ray set and everything! I watched the 0079 movies a few years ago and really enjoyed them. They turned me completely around on Gundam after someone tricked me into watching SEED as a first exposure to the series. Really nice to see Patrick citing Civilization for its great difficulty options in his "Easy Modes" article. It's been consistently excellent at offering such customisation options, and I think it's one of the reasons Civilization is so popular. From Settler to Deity, Civ offers a wide range of experiences to match all skillsets and preferences. Yeah, Civ does that really well, although IMO CIv also isn't based around challenge at all, which is why I disagree with the article's main point. I mean, to be able to beat a CIV game on it's highest difficulty you'll need extensive knowledge of the game and have probably played it for far longer than anything souls games demand of you. I get the appeal of a singular difficulty. It forces one to learn the game, sometimes past the point one would have chosen if difficulty options had been available. The community aspect of beating a particular, universal, challenge can also be big. However i've never heard of modding making a game worse, for example. And that's because there's really nothing bad in people making up their own "houserules". "Officially sanctioned by the dev" is purely psychological, imo. From could make an "intended way to play" mode and still offer modifiers for the people that want/need them. I'm not angry they don't do it, rescources in development are limited, but i don't really see how it would make their games worse. I really want to get into Gundam but the price of the Blu-ray sets are a joke (£114 for the original series) and that series Austin recommends is straight up unavailable here in the UK legally. Is there a video of their PAX panel? It was tough to listen to without visual aid since so much was going on. 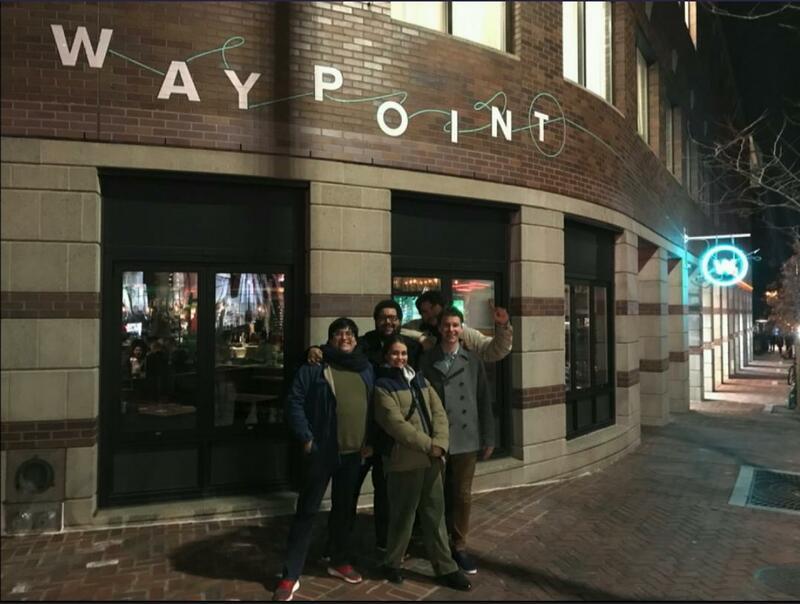 Personally I think what waypoint does is very important so whatever keeps them in Business is ok with me.